My Mother-in-law had a momentous birthday this week and has seen in another decade. To help celebrate I have been searching for the ideal birthday gift for a significant milestone and it had me thinking about the passing of time, change of season (hello autumn, so glad to have you back again! ), of creating lifelong memories, savouring them and remembering time gone by (especially the good times). These thoughts led me to decide to arrange a photography portrait sitting for our small family spanning three generations plus one beloved geriatric dog, to try and capture this moment in our lives. 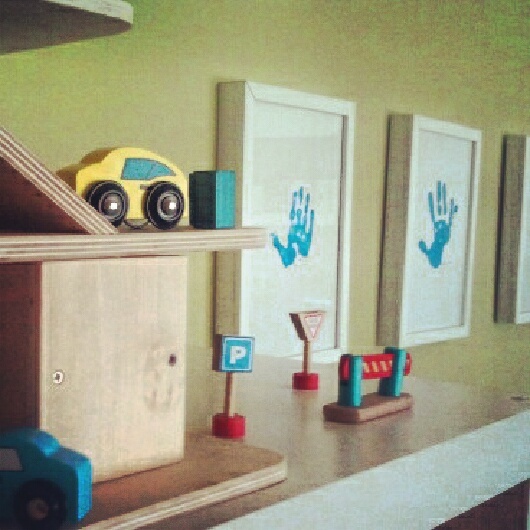 · Family whether it be displaying special mementos, homemade gifts, art or through photos. A gallery in my kitchen. 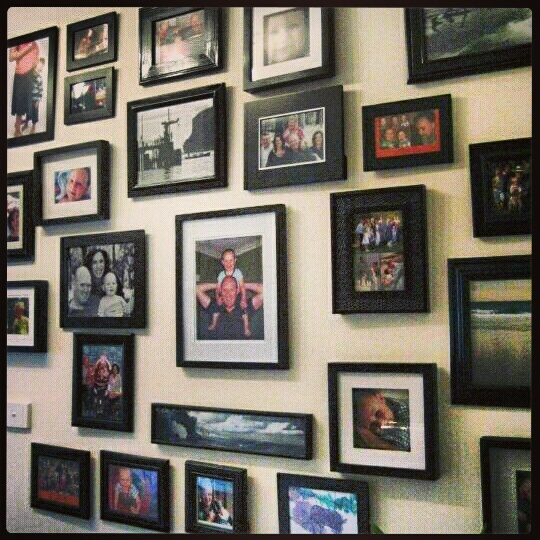 In my case I have this wall in my kitchen dedicated to family photos and special pictures. These are all in frames of different styles and sizes (collected over the years and more recently from op shops) placed randomly linked together by a similar theme of family and place as well as being painted a single colour; in this case black. Further to this; in the playroom I have a moment in time by framing a series of our hand prints in ascending order from baby through to daddy and in a colour that compliments the scheme of the room. I find it’s a playful way of adding interest to a bright and creative room. Throughout my home, in a way that is natural to me, I have arranged and styled keepsakes that hold special memories alongside decorator items to help tell the story of me… and my family. This brings me back to my Mother-in-law, who casually mentioned to me recently, in a stoic way, that her arthritis is playing up and she can no longer wear her wedding rings. 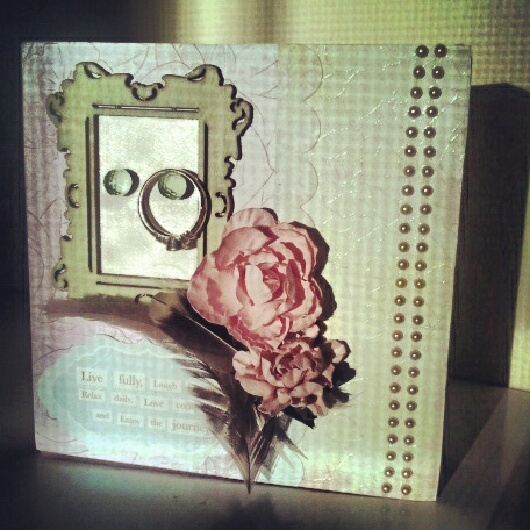 So for her birthday I also made this ring display in her favourite colours (shame its such a crummy photo), using Kaisercraft product (now I understand why scrap booking is so popular!) to rest on her bedside so these rings, that have seen decades of memories made, don’t end up tucked in a drawer or container out of sight to be forgotten. relax daily,love completely and enjoy the journey"
Oh and ....Happy birthday Carmel!